The intent of this mentorship is to give a boost to SCBWI-Illinois illustrators on the verge of publication. Prize: The grand prize is a three-month mentorship with acclaimed illustrator, Larry Day. 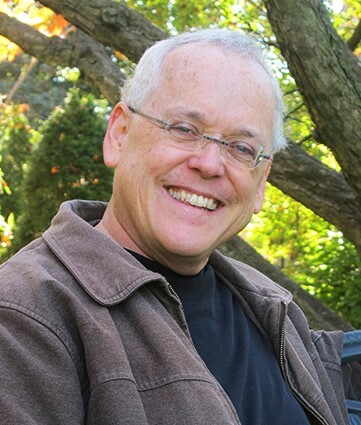 Larry is an award-winning illustrator of over 25 fiction and historical non-fiction picture books including the 2006 SCBWI Golden Kite Award for Not Afraid of Dogs (Suzanna Pitzer) and Colonial Voices, Hear Them Speak, winner of 7 state awards. Raisin, The Littlest Cow, (Miriam Busch) is an Illinois Reads Selection for 2018. Day’s most recent 2018 title is Voices From The Underground Railroad (Kay Winters). His 2014 release, Lion Lion (Miriam Busch) was one of NPR’s Best Books For 2014, an Illinois Reads Selection for 2015, and an Indie Bound Next List and Junior Library Guild Selection. His newest picture book is Found., November 2018, a wordless book created in collaboration with Jeff Newman. He is also the creator that brings our “Little Lincoln” character to life in its many versions, found on SCBWI-Illinois promo material. Read more about Larry Day and his creative process here. The competition is open to all SCBWI members who are Illinois residents. You cannot be a PAL illustrator in picture books. (PAL stands for “Published and Listed.” These are books published by traditional publishing houses that do not charge money to author or illustrators.) The intent of this mentorship is to give a boost to those who are on the verge of publication. You may be a PAL illustrator who is published in chapter books or graphic novels. You may be a PAL author who is also an illustrator. Please contact SCBWI-IL Mentorship Coordinator, Cedric Gliane, if you have questions about eligibility. Mutually agreed upon schedule of 3 sessions to be completed within 3 months from start (Jan 1, 2019 – March 31, 2019). Preferably 1 hour skype sessions with email follow-ups from mentor, as mentee works to improve from suggestions. Mentor will have a working knowledge of the mentee by visiting their website, and/or other social media, and their artist statement from the application. Mentor will engage in discussions with mentee of the strengths/weakness of their online portfolio samples to begin the mentorship. Choice is given to mentee to improve an existing illustration, or to request an assignment tailored by mentor to address the illustrator’s strengths/weaknesses. Bonus: Mentee will be approached to create the website graphic for the next Illustrator Mentorship, summer of 2020! Each entry will consist of FOUR separate pieces of art that are suitable for picture book or chapter book illustrations or graphic novels. Two of the illustrations should be a page-turn sequence from the same story. Do not sign artwork or put any identifying marks on illustrations. If you have already signed a piece, please block the signature before scanning. The four illustrations should be saved as a single pdf file that is between 1 MB and 3 MB in size. Art’s longest dimension should be 1500px maximum, either vertically or horizontally. Art should be in full color or rendered in black & white, finished and ready for publication. Art should be appropriate for and targeted to children or teens. Do not mention your name in the title. The submission window opens at 9:00 am on Dec 1, 2018. The submission window closes at 11:59 pm on Dec 7, 2018. Click here for the Illustrator Mentorship Application Packet. The mentor will make the final, winning selection. SCBWI-Illinois will announce the winner on December 15, 2018. Mentorship window is January 1, 2019 – March 31, 2019. Mentee must be available and an SCBWI member during the entire mentorship window. Please consider your availability before submitting. Why can’t I sign my artwork? Judging is anonymous. The judge (mentor) does not know who the contestants are. Why do I need to submit my art as one multi-page pdf? It’s easier for the mentorship coordinator to keep track of unsigned artwork if the submissions are grouped into one file per applicant. Acrobat Writer, Corel Draw, Illustrator, Photoshop and other programs save files as multi-page pdfs. FedEx, Office Max/Office Depot will scan four illustrations and save them as single pdf for $8. Is it okay to Tweet or post submission images on ANY social media platform? Judging is anonymous. Promoting the contest on social media is great, but please do not mention that you have entered or post images of your entry. Doing so will result in your disqualification. What if I receive a contract for my artwork during the contest? Please contact Mentorship Coordinator, Cedric Gliane, to receive congratulations and discuss the situation. 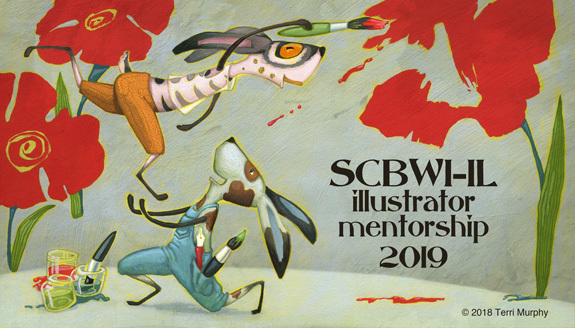 Many thanks to Terri Murphy, Janet McDonnell, Cedric Gliane, Rich Green and Pav Kovacic for helping to develop the SCBWI-IL Illustrator Mentorship in 2018.